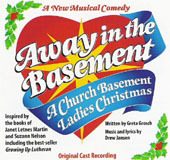 Here is the soundtrack from the fifth musical in the Church Basement Ladies series. 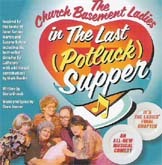 It is 1979, the day of the church’s Centennial Celebration, and past parishioners have gathered to share hotdish, bars, and stories from the last 100 years. As the women work in the kitchen, these shared memories burst into life through a series of flashbacks. 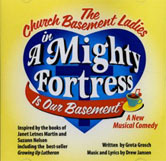 Travel back to 1897, and meet Vivian’s grandmother, one of the founding members of the church; see Karin as a newlywed, cautiously navigating her way through the politics of the kitchen; and be there on that day, in 1944, when Mavis first barreled her way through the swinging door. The Centennial Celebration is bittersweet. 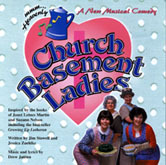 Times are tough in this small farm community, and hard decisions will have to be made. 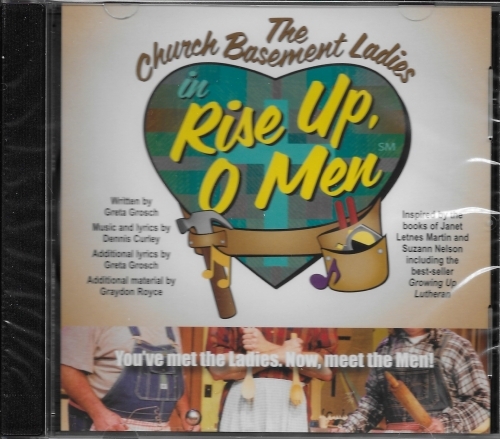 Songs on this CD include On the Eighth Day God Created the Church Basement Lady, You Can Learn a Lot about a Lady, The 24-Hour Mom-ba!, Yep, I Think I Do, This Gal, Auctioneer (I, II, III), A Eulogy, An Old Wooden Spoon, and We Move On.